Hurrah, our YA order is finally here. Some great new books at our library this week, many of them long overdue, in my opinion. 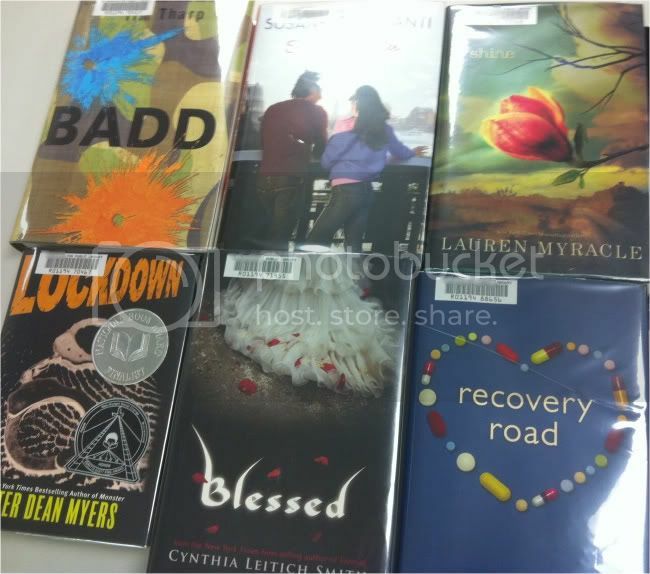 I can't wait to dig into Recovery Road, which I should have included in my Cover Trend: Hearts post. And the cover for Blessed is so pretty... I haven't read this series, but I may have to go back and read the others in order to catch up on it. Thanks, Loren! So Much Closer was one of the ones I was going to hold off reading for a while... but I'm hearing enthusiastic reviews of it, so maybe I'll bump it up on my TBR list.